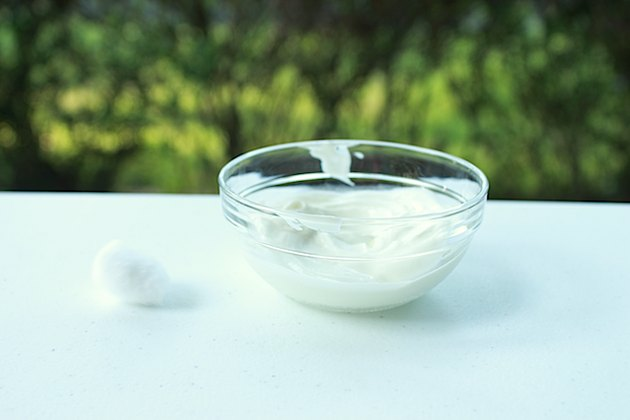 With a cotton ball, apply yogurt all over your face avoiding the eye area. Leave on for 10-15 minutes, and then rinse with lukewarm water. Pat the skin dry. If you have dry skin, add a tablespoon of honey and mix it with the yogurt. Apply with a cotton ball to your face avoiding the eye area. Leave on for 15 minutes, then rinse off with lukewarm water, and pat the skin dry. Adding honey improves the moisturizing qualities of the yogurt mask due to the humectant properties of honey, which help to attract and retain moisture. 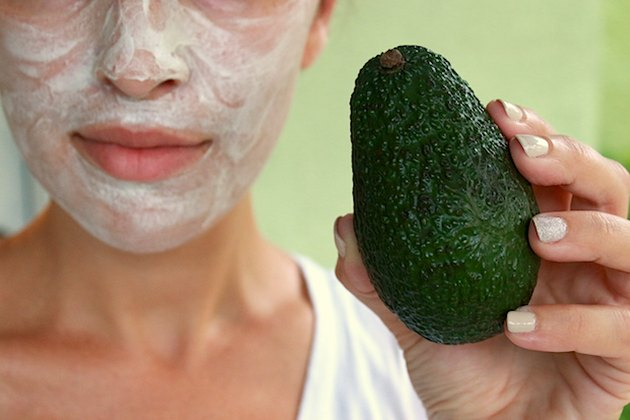 If your skin lacks luminosity because it is dry or because it has been exposed to environmental factors like wind, sun, and extreme temperatures, avocado is a great ingredient to include in your homemade face mask. Avocados are very rich in nutrients such as Vitamin A, E, B12, K, C, and fatty acids. It's softening, nourishing properties help with replenishing and healing the skin, as suggested by a 2013 study. Mash the avocado pulp with a fork until the consistency is creamy and even. Add a tablespoon of honey and mix. Apply to the skin with a spoon. You may apply it even on the under eye area to soothe it and moisturize it, but make sure not to get too close to the eyes. Leave on for 15 minutes and then rinse with lukewarm water. Pat the skin dry. Mix the green tea with one tablespoon of honey, and apply to the skin. Leave on for as long as 20 minutes, rinse will lukewarm water, and pat the skin dry. Mash the avocado until creamy and then add green tea powder to it. Mix well, apply to the skin avoiding the eye area, and then rinse off with lukewarm water. Pat the skin dry.